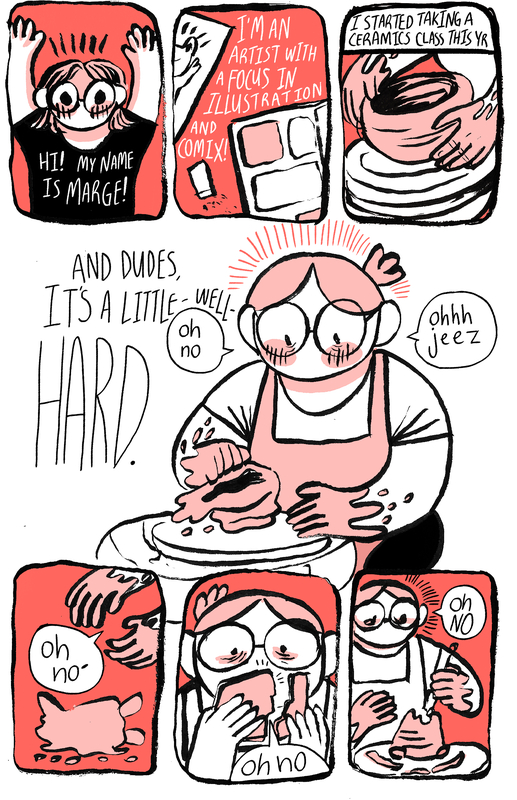 Marge Makes Comics #1: Ceramic Panic – arts, ink. Hey! This is Marge. 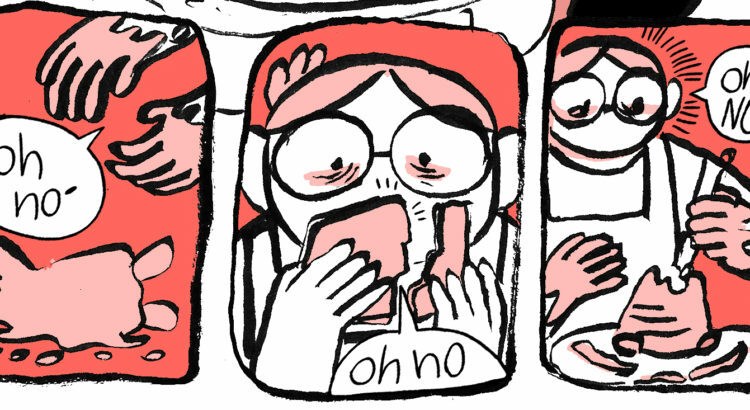 I’ll be posting comics here every Saturday afternoon for y’all. Marge is an art and writing student with a passion for talking about movies at people. She also loves chilling in the arb, comics, and collecting weird little cat figurines from Vault of Midnight. 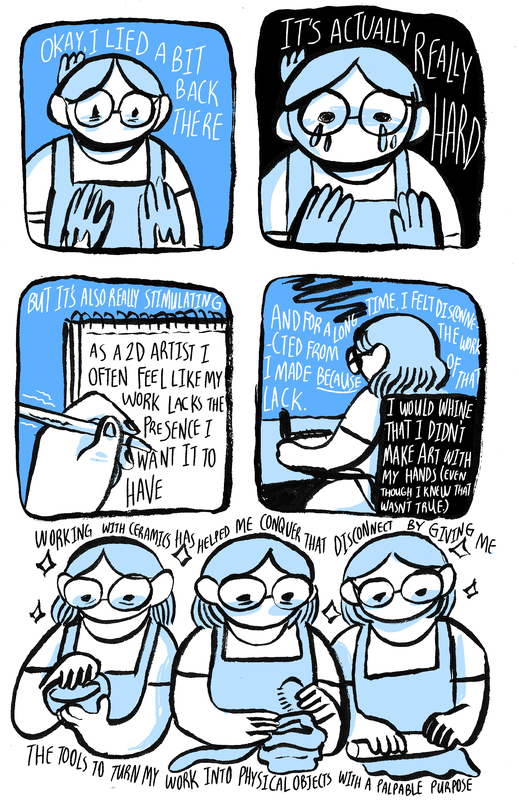 3 Comments on "Marge Makes Comics #1: Ceramic Panic"
Absolutely love them. You are on the right path – your talent is amazing!